Its been a surprise when we hear the name of a lady in the column of an assistant director.Thats Sreebala K Menon - Kerala Sahithya Academy award holder. Sreebala K Menon got a promotion from assistant to associate director in the film "Bhagyadevatha". She is a post-graduate in Literature, who is also trained in Science and Development Communication from the C-DIT. Sreebala K. Menon was awarded the Kerala Sahitya Academi award in the category for humour. Sreebala K Menon started her career in Sathyan Sir's " Narendran Makan Jayakanthan Vaka". 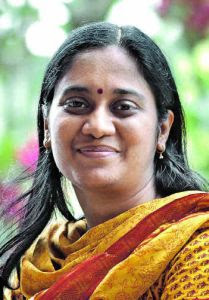 She worked as an assistant director in "Achuvinte Amma" , "Rasathanthram" , "Vinodayathra" , "Innathe Chinthavishayam". 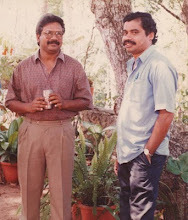 Its been Sreebala K Menon's luck to start with Sathyan Sir. No doubt she got a good talent and will surely proove her abilities as a writer and director.